Cerebral palsy is a neurological condition that affects about 500,000 people in the U.S. About 10,000 babies are born each year with cerebral palsy, making it one of the most common birth injuries that occur. CP may be due to any of a number of natural causes, but it may also be the outcome of medical mistakes that occur during labor or delivery. An injury inflicted on a baby due to medical malpractice is tragic, and in the case of cerebral palsy brings about a lifetime of challenges for the child and his or her family. The Tampa cerebral palsy lawyer at The Palmer Law Firm help families cope with these challenges by holding doctors and hospitals accountable for their mistakes, and securing the greatest amount of compensation possible to deal with these additional lifetime costs. Cerebral palsy could be due to natural causes, including blood disorders, maternal infections or severe jaundice. It can also be due to birth asphyxia, or a lack of oxygen to the fetus. A prolonged deprivation of oxygen during labor and delivery may cause CP, and it is up to the medical staff responsible for the birth to make sure this doesn’t happen. Doctors, hospitals and nurses know that emergencies do arise during labor; medical professionals must monitor and respond appropriately in a timely manner. Often the appropriate response is to call for a caesarian birth (c-section), but those in charge frequently delay making this important decision for too long, causing an otherwise preventable CP birth injury. Cerebral palsy can also occur if the baby is dropped or pulled with an excessive amount of force during delivery. Some children born with cerebral palsy are afflicted with seizures or mental deficits while others are not. Some may be unable to speak or even to eat or swallow without assistance. Learning disabilities or behavioral issues may be present as well, depending upon the areas of the brain affected. Difficulty in controlling movements is a general hallmark that affects most people with CP, and poor muscle tone or control often make even the simplest tasks of daily difficult or impossible to complete unaided. Should You File a NICA Claim for Your Child’s Cerebral Palsy? Florida has a compensation plan in place for children born with cerebral palsy, Erb’s palsy or other neurological birth injuries. These claims are known as NICA claims, after the Florida Birth Related Neurological Injury Claims Act. A NICA claim is an administrative claim for compensation, which does not require you to file a lawsuit or prove that a doctor or hospital was negligent in causing your child’s birth injury. However, there are over half a dozen specific criteria that must be met to qualify for a claim, and compensation is limited to certain “medically necessary and reasonable” medical costs. Some people believe NICA is less about compensating children and their families and more about protecting doctors and hospitals from being held accountable for the full impact of their negligence. For instance, NICA does not recognize pain and suffering and other civil legal damages, and NICA awards are generally far less than what one would receive by taking the same case to a jury. It is important to understand the immense financial burden of cerebral palsy, which is typically about $500,000 for the lifetime cost of care. The quality of life of the affected child and family is another harm that is often considered when seeking to hold doctors and hospitals accountable in a civil suit. Different statutory deadlines and other criteria apply to NICA claims versus civil lawsuits, and some injury victims could tragically wind up being shut out of receiving any compensation at all by pursuing the wrong course. It is critical to contact an attorney as soon as possible to understand your options and make sure you follow the best path to receiving appropriate compensation for your child’s injury. If your child was born with cerebral palsy in a Tampa-area hospital, contact The Palmer Law Firm, P.A. at 813-506-5651 for a no-cost, confidential consultation. 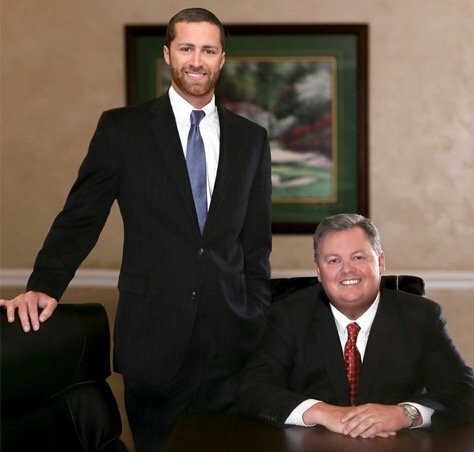 Our medical malpractice lawyers Tampa will help you understand your options and answer your questions, and provide whatever help we can in seeing that you and your child get the compensation you need and deserve.